Development Blog: Main blog, mostly oriented to development. 2004-Now. GitHub Account + Gists: Small projects, miscellaneous scripts and cheatsheets, don't expect anything fancy. The Elder Thoughts: Blog about role-playing games, boardgames and miniatures. 2006-Now. Finished Games: Website to track your playing history. Full code is opensourced (available on Github) so anyone can install, customize and use it. 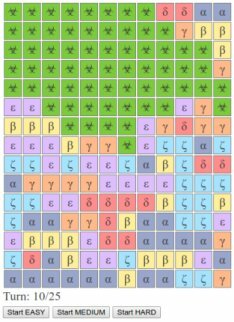 Mazes for Programmers Python code: Examples from Mazes for programmers book, ported to Python and with some tests, improvements and new output formats for the generated mazes. PICO-8 games: Small games built with a retro virtual console platform, PICO-8. Shopping Lists: Ultra-simple mobile-first application to keep track of shopping lists with a simple color-based system. Pomodoro: Minimalistic pomodoro timer, with desktop notifications, sound and changing favicon so you can pin the tab and still see if it's running. Original code wasn't mine but refactored and removed lots of things. 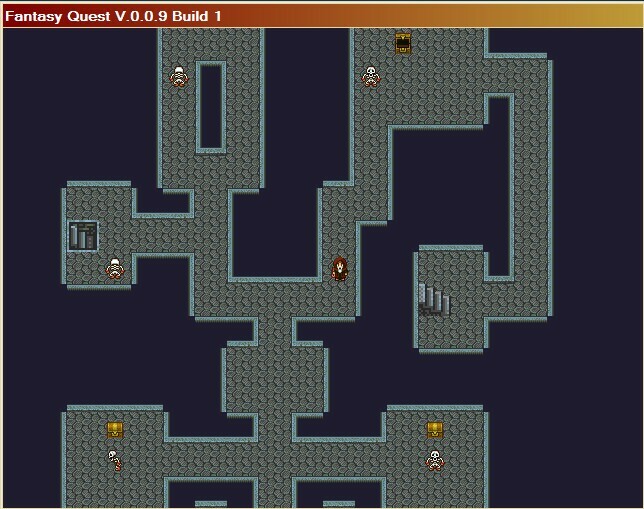 Berks Worlds - Ultima Online unofficial server (webarchive: I - II): Staff member: forum and in-game moderation and cheat prevention. Technical administration of website and forums. 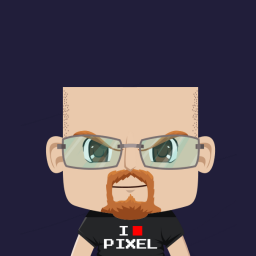 Game server scripts developer and tester. 2004-2014. Kartones.Net blogging community: Multi-language blogging community. At its peak had ~20 active blogs and hundreds of freely available downloads. 2004-2014. La Web de Programación (webarchive): Spanish portal about development, computer news and tutorials. In the early years got good traffic from Spanish and latin-american visitors. 2001-2014. QuakeForever.net: Tribute website containing mods, maps and graphics for the videogame. +1.2GB of data to catalog. No help from remaining team members. 2013-2015. The Dark Portal: Free online multiplayer games portal, with custom self-hosted servers for Ultima Online, Freelancer, FreeCiv, OpenTTD and others. 2008-2009. Uncut (webarchive): Movies, series and documentaries micro-reviews blog. Administrator & blogger (+1 other blogger). 2010-2015. Vicio Como Monos!!! 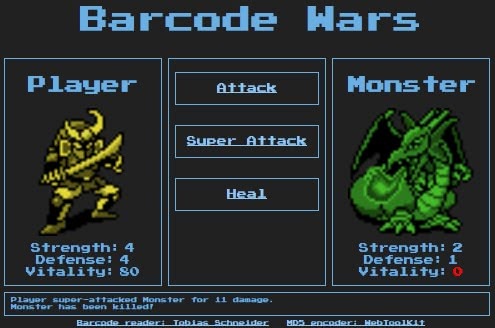 (webarchive): Videogame reviews blog (PC and consoles). Administrator & blogger (+1 other blogger). 2009-2015. 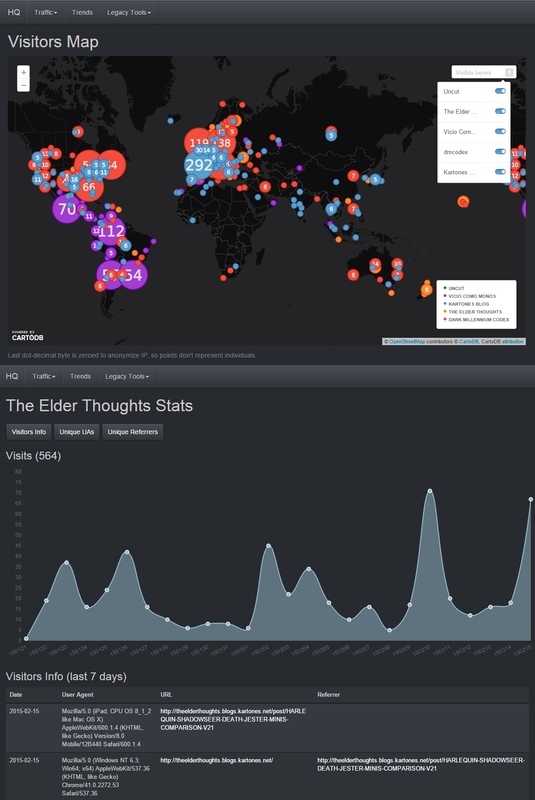 Visits HQ: Internal Google Analytics-like website to track visits to my blogs, check Google Trends and other internal tools. 2015-2017. 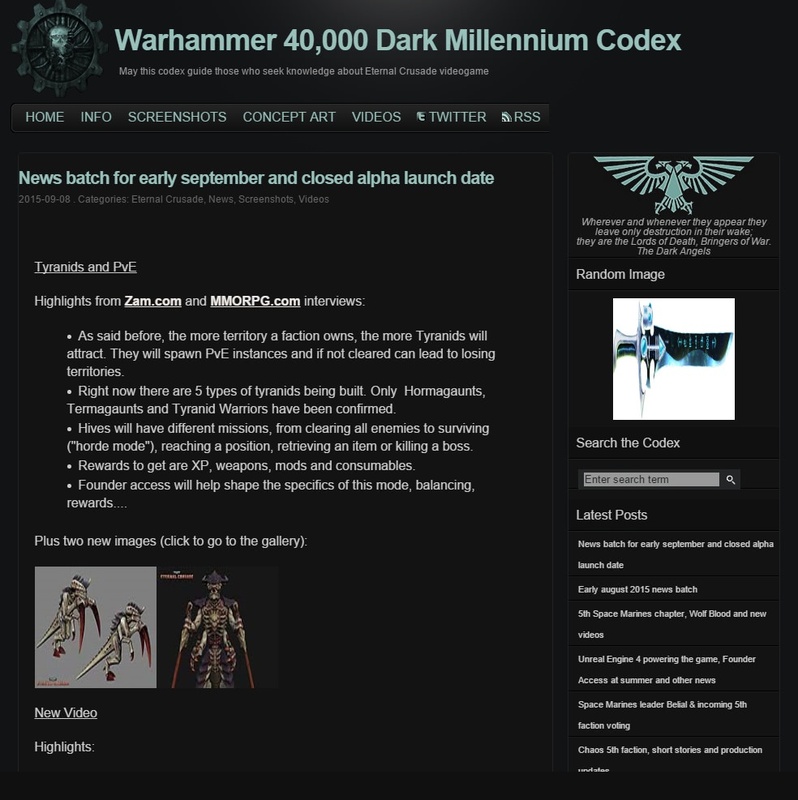 Warhammer 40,000 Dark Millennium Codex: Videogame fan-site, made to practice with PHP/Wordpress, later migrated to BlogEngine.net. 2010-2015. Wordpress 3.x Mobilizer plugin, Wordpress 3.X plugin to detect and render a mobile theme for smartphones and other modern mobile devices.It uses JQuery Mobile (the main purpose was to see how JQuery Mobile worked). Related blog post. Wordpress 3.x caching component, including instructions on how it was built. Slides explaining it can be read here. Community Server 2007 components, modules and plugins, no longer maintained/updated but valid for CS2007. C# source code is also available. Unit testing framework for Windows Live Agents Microsoft SDK, because the one "included" in the SDK was terribly incomplete. WLAs dissapeared so no longer of any use. Microsoft XNA 1.0 particle system, small and very rought and basic implementation for a presentation/speech. 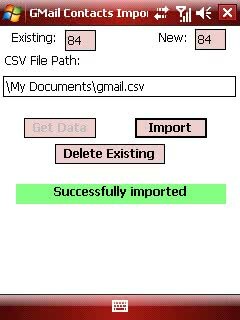 C# Gmail contacts importer for PocketPC, performing a CSV file import into Pocket Outlook for Windows Mobile. LameGUI: a Visual Basic 6, multilanguage frontend GUI for the excellent command-line MP3 converter Lame. Related blog post. AFS - ASP 3.0 & SQL Forums: 100% Home-made forums platform, used for years at La Web de Programación. There were no opensource solutions in ASP 3.0, so I made mine to learn when I started working with that language. C & ASM MS-DOS old programs. Contains a graphic library I built in the 90's (small MS-DOS VGA mode tutorial here) and miscellaneous experiments.